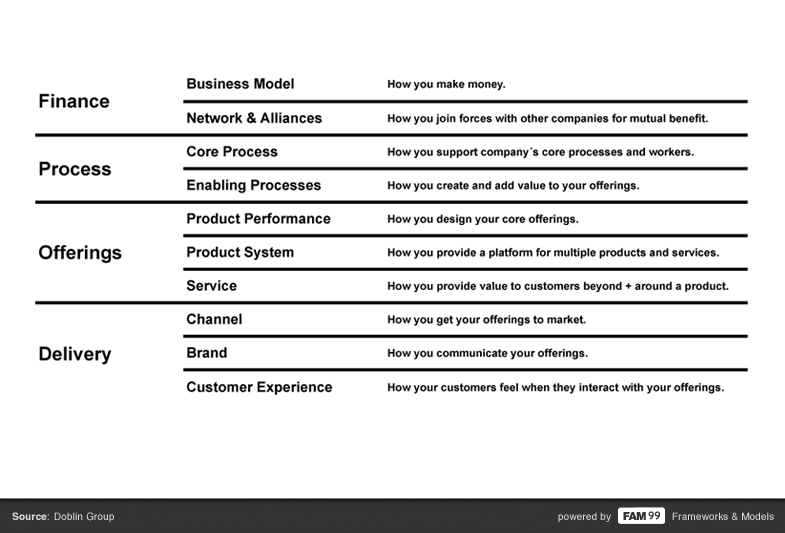 The “Ten Types of Innovation” framework is able to identify new opportunities in finance, process offering and delivery. Many industries believe in the development of new offerings to do innovation. But creating new offerings is only one of ten types of innovation, and compared to the nine others it provides the least return. Companies will remain stronger and more difficult to copy if they are able to develop offerings simultaneously across multiple innovation types.